This post is about a new book, “Digital Decarbonization: Promoting Digital Innovations to Advance Clean Energy Systems,” edited by Varun Sivaram. It is available as a paperback or e-book on Amazon, and you can also download a free PDF copy here. Digitalization is all the rage in energy circles. 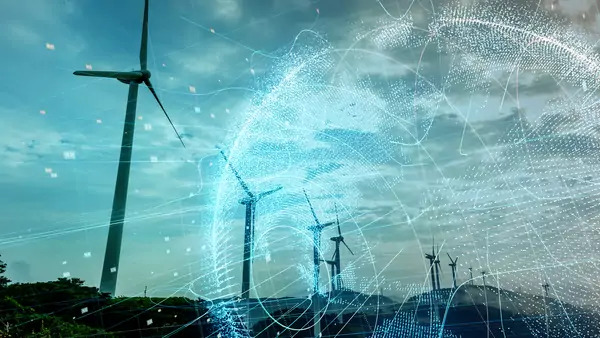 The International Energy Agency published a major report last year proclaiming that the global energy system was on the cusp of a new, digital era. And indeed, advances in artificial intelligence and computing power, the falling cost of digital equipment such as sensors, and the connectivity provided by the Internet are transforming the way energy is produced, transported, and consumed. Many cheer on these trends because of the potential for digital innovations to make energy systems cleaner and more efficient. Digital innovations stand out against the landscape of clean energy innovation. 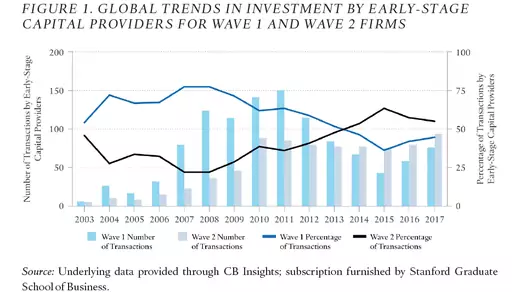 Whereas technologies such as advanced nuclear reactors, next-generation batteries, and new projects to capture and store carbon dioxide all struggle to raise private funding, digital technologies in energy are successfully attracting a new wave of venture capital investment in cleantech (figure 1; credit: Stephen Comello). So unlike other technology areas, where policymakers must seek to stimulate investments in innovation, policymakers face a different challenge when it comes to digital innovations. Here, policymakers need to harness these technologies –which the private sector is already funding—to reduce, rather than raise, carbon emissions and mitigate risks such as those of cyberattacks and privacy breaches. To find out more on how exactly to do so, I hope you’ll download a copy of Digital Decarbonization. Digitalization presents a rare opportunity to rapidly transform energy systems that are tend to be frustratingly slow to change. Making sure that the changes we do get advance an ultimate goal of decarbonization couldn’t be more important.